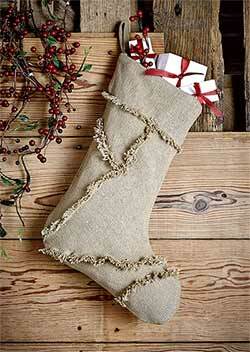 Christmas Stockings, in dozens of styles and colors, one for everyone in the family! 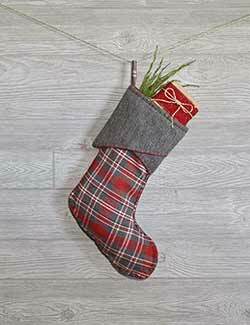 Extending our popular Burgundy Check home decor line with holiday cheer, now you can add the classic look above your mantel with the Christmas stocking! 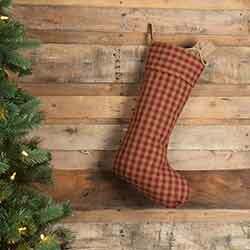 Extending our popular Burgundy Check home decor line with holiday cheer, now you can add the classic look above your mantel with the buttoned stocking! 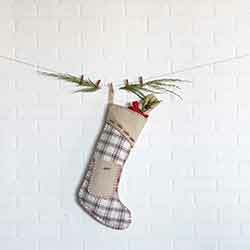 Extending our popular Burgundy Check home decor line with holiday cheer, now you can add the classic look above your mantel with the jute stocking! 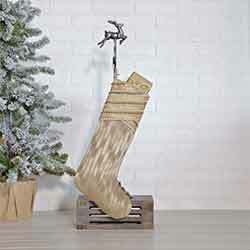 Wintery antique creme is paired with soft burlap to give the Vintage Burlap 20 in Stocking a Christmas-inspired look alive with country splendor. 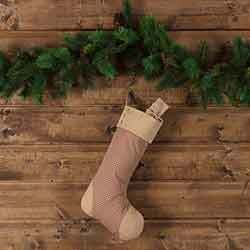 Bring out the warmth of Christmas with the Celebrate Gold 15 inch Christmas Stocking, featuring a layered chambray cuff dressed with golden ball trim and lace. 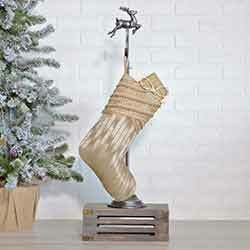 Bring out the warmth of Christmas with the Celebrate Gold 20 inch Christmas Stocking, featuring a layered chambray cuff dressed with golden ball trim and lace. 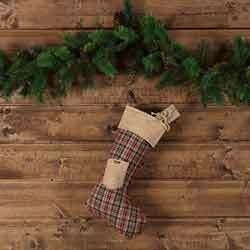 Natural jute is paired with red, black, and tan plaid soft cotton to give the Clement Plaid 20 in Stocking a Christmas look that will appeal to the everyday working citizen. 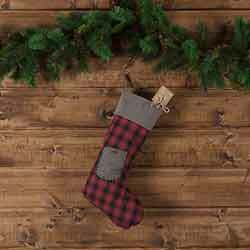 Natural jute is paired with red, black, and tan plaid soft cotton to give the Clement 20 in Pocket Stocking a Christmas look that will appeal to the everyday working citizen. 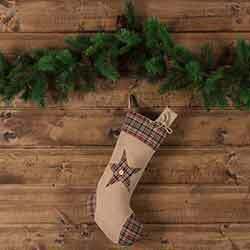 Natural jute is paired with red, black, and tan plaid soft cotton to give the Clement Star 20 in Stocking a Christmas look that will appeal to the everyday working citizen. 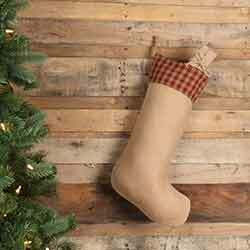 Natural jute is paired with red, black, and tan plaid soft cotton to give the Clement Tree 20 in Stocking a Christmas look that will appeal to the everyday working citizen. 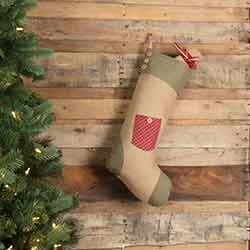 The Dolly Star Green Patch 20 in Stocking features bright red and tan 8-point stars set on emerald green patches. 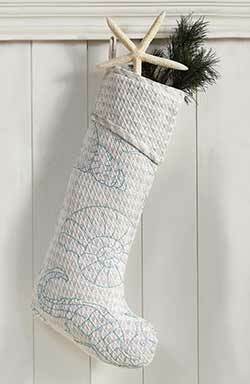 Top border and hanging loop match stars. 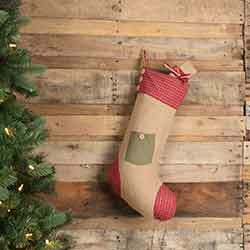 The Dolly Star Green Pocket 20 in Stocking features bright red cuff, heel, and toe with an emerald green pocket set on tan. The Dolly Star Red Patch 20 in Stocking features emerald green and tan 8-point stars set on bright red patches. Top border and hanging loop match stars. 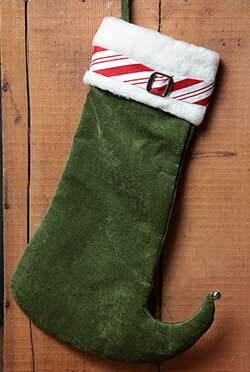 The Dolly Star Red Pocket 20 in Stocking features emerald green cuff, heel, and toe with a bright red pocket set on tan. The Dolly Star Tan Patch 20 in Stocking features bright red and emerald green 8-point stars set on tan patches. Top border and hanging loop match stars. 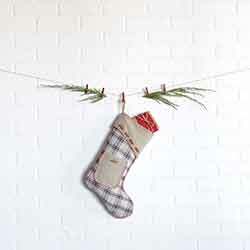 Countrify your Christmas this year with the Emmie Black Check 20 in Stocking. 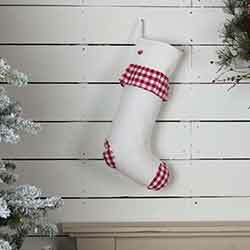 A bright white cuff and ruffle is paired with a base of farmhouse black check. 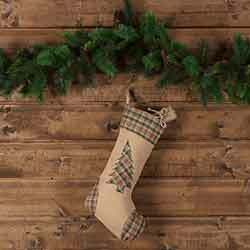 Countrify your Christmas this year with the Emmie Black Check Ruffle 20 in Stocking. 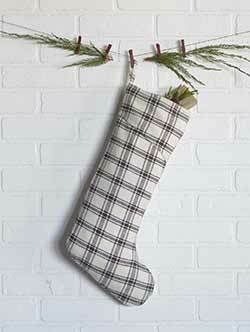 A bright white is paired with farmhouse black checks on the cuff, heel, and top ruffling. 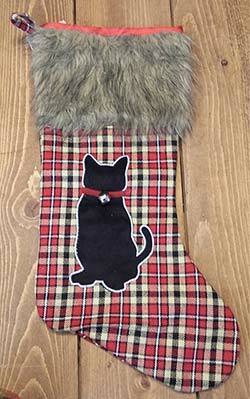 Countrify your Christmas this year with the Emmie Black Patch 20 in Stocking. 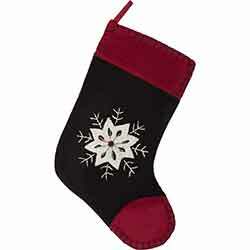 Front features four 8-point stars in farmhouse black, or reverse to a check pattern on the back to change things up. 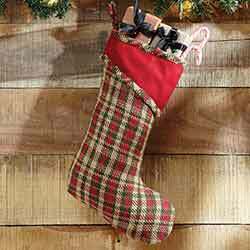 Countrify your Christmas this year with the Emmie Red Check 20 inch Stocking. 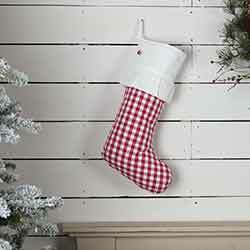 A bright white cuff and ruffle is paired with a base of holly berry red. 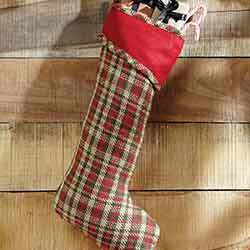 Countrify your Christmas this year with the Emmie Red Check Ruffle 20 in Stocking. 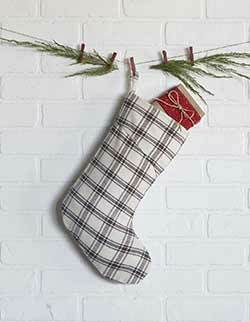 A bright white is paired with holly berry red checks on the cuff, heel, and top ruffling. 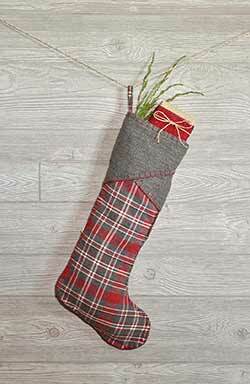 Countrify your Christmas this year with the Emmie Red Patch 20 in Stocking. 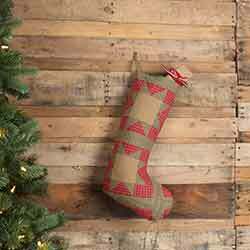 Front features four 8-point stars in holly berry red, or reverse to a check pattern on the back to change things up. It's like getting two for one!